Made from natural woven straw these natural and coloured buri fans are light-weight and fresh. 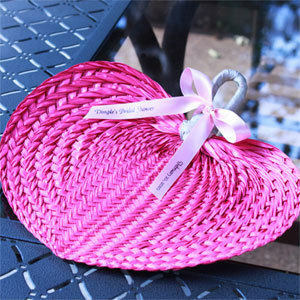 Use them as favours, place cards for your guests or simply as a lovely home decoration. (decoration/ribbon and tags not included).